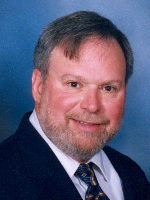 SLINGERLANDS – Russell L. Zindle, 62, of Slingerlands, died Wednesday, January 13, 2010 at his home. Mr. Zindle was born in Albany, and lived in Slingerlands all his life. He served in the U.S. Army during the Vietnam war, and he worked as an electrician for many years, operating Excelsior Electric. He was a member of the Guilderlands Elks #2480, the Joseph E. Zaloga American Legion post #1520, and the IBEW Local 236. He loved automobiles, and restored a 1959 Corvette. He also enjoyed motorcycles and traveled to Laconia Motorcycle Week. He loved spending time at his camp on the Sacandaga, boating, fishing, hunting from his hunting camp, traveling to the Florida Keys, Aruba and Hawaii, and reading and attending concerts. All these activities were enjoyed with a great many of his dear friends who were like his family. Mr. Zindle is survived by his beloved daughter Jennifer M. Zindle of Slingerlands, and by his canine companion Roxy the Puggle. He was predeceased by the love of his life, Patricia E. Franze, and by his parents Russell and Lucy Sileo Zindle. Calling hours will be held in the Hans Funeral Home, 1088 Western Ave., Albany, Saturday afternoon from 12-4 p.m. Relatives and friends are invited. Interment will be held privately at a later date. To leave a message of condolence for the family, view or print a memorial card, or obtain directions to the funeral home, please visit www.HansFuneralHome.com. We are so very sorry to hear of your loss. If there is anything we can do for you- please do not hesitate to ask. Know that our thoughts and prayers are with you. Try to get through this by keeping all of the good times and great memories of your Dad, with you. Be strong and take care of yourself. Words cannot express the sadness you must be feeling right now. I am so sorry for your loss. You and your family are in my thoughts and prayers at this very difficult time. Jen, We are both so very sorry for your loss. Your Dad was not only my cousin, but a good friend through the years. He will be missed. We love and support you. My deepest sympathy to you and your family. I am so sorry for your loss. Your dad and you and your family are in my thoughts and prayers during this difficult time. Jen, you are in our thoughts. We are so sorry. Your father was a wonderful man. We are very sorry for your loss and hope your good memories will help you through this time. We will remember your Dad, and you, from most recently being our fellow diners at the Friday fish fry’s. You will be in our prayers and hopes. Jen your Dad was a great person and a good friend. I can still remember he and my brother Victor coming through the woods with your Dad’s dog Brownie. They would come in the back door at our house and leave Brownie on the patio. The two of them would then sneak out the front door and that loyal old dog would sit on that patio and wait for your Dad to come back. He came over a couple of months ago to fix a light fixture for me and he talked about your little dog, I have a littleShitzu, and how much he just loved Roxy, how Roxy would sleep between his legs. Your Dad was a great person, a lot of fun to be around and a good friend. He will be missed very much. Please know that our thoughts are with you and that he loved you very much. The biggest tragedy would be to never have known him at all.